The main aim of this study is to characterise Turkish propolis and to determine the bioactive composition of it. 86 different propolis samples were collected from 25 different provinces in Turkey. Chemical, microscopic and functional properties of Turkish propolis have been determined. Also Turkish propolis was compared propolis types from other countries. Each sample was analyzed for moisture content, beeswax content, total phenolics, antioxidant activity, flavonoid profile, pollen profile and mineral content. Moisture, ash and beeswax content were analyzed by AOAC934.01, IHC methods, respectively. Total phenolic contents, antioxidant activities and flavonoid profile were analyzed by Folin Ciocalteu, DPPH using Spectrophotometer and by HPLC-PDA, respectively. Possible botanical sources of the samples were investigated using microscopic method and mineral contents were determined using ICP-MS. It was determined that the results vary depending on flora, season and climate conditions. It was specified that the flavonoid profile of Turkish propolis showed differences from other types of propolis. With flavonoid profile analysis, totally 38 different bioactive compounds were analyzed. Caffeic Acid, p-Coumaric Acid, Ferrulic Acid, M-Coumaric Acid, 3,4-Dimethoxy Cinnamic Acid, trans-Cinnamic Acid, Pinobanksin, Quercetin, Naringenin, Luteolin, Genistein, Hesperetin, Kaempferol, Apigenin, Pinocembrin, CAPE, Chrysin and Galangin were mainly determined in Turkish Propolis. Possible botanical sources of propolis were determined as Pinus spp., Salix spp., Castanea spp., Eucalyptus spp., Quercus spp. and Populus spp.. Different regions mainly contains Iron, Chromium, Copper, Calcium, Magnesium, Selenium, Manganese and Zinc. It was specified that flavonoid content of Turkish propolis showed differences from other propolis types. ISNAD COSKUN, Ilknur , DUYMAZ, Gizem M. , DASTAN, Tuğçe , SONMEZER,, Ozge E. , ACAR, Sezer , AKYILDIZ, Emir , DUZ, Gamze , YILMAZ, Ozlem , RADAY, Sinem . "The Characterization and Bioactive Composition of Turkish Propolis". 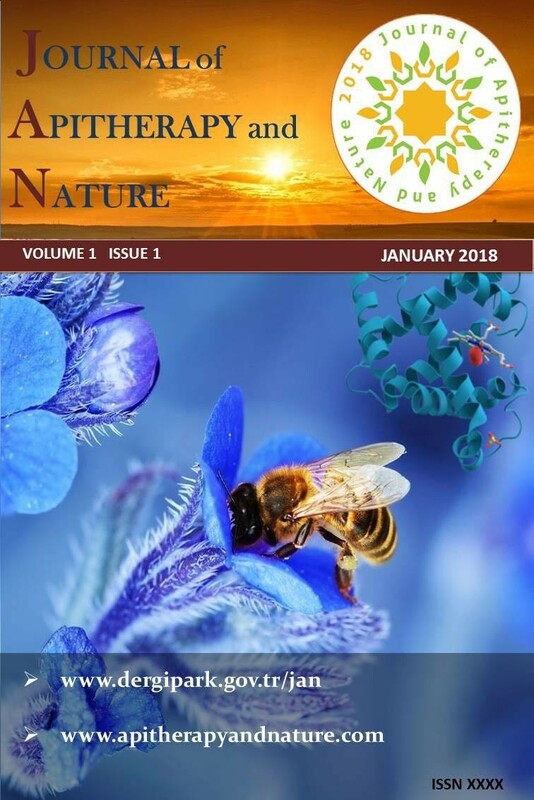 Journal of Apitherapy and Nature 1 / 3 (December 2018): 39-39.